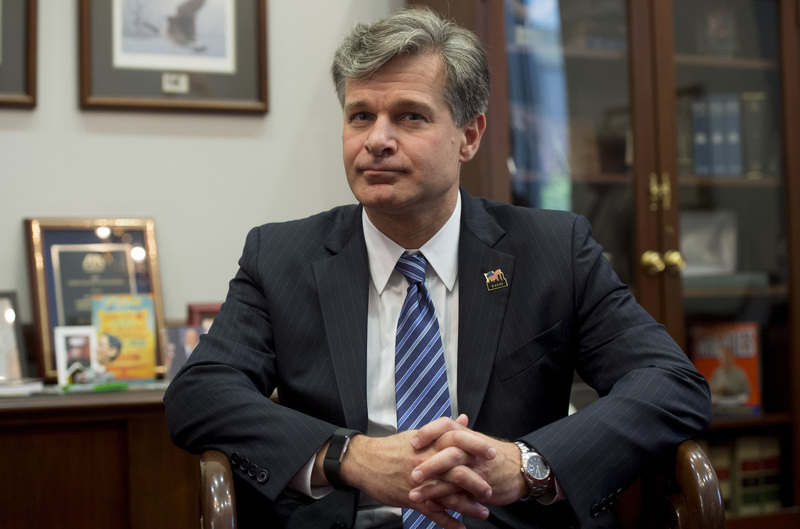 Alleged attempted mail bombing suspect Cesar Sayoc left a fingerprint and DNA samples on packages bound for his intended victims, FBI Director Christopher Wray said in a Friday press conference. Wray told reporters Sayoc constructed and mailed 13 known improvised explosive devices to Democratic officials, former public officials and CNN. “A latent fingerprint was detected on Waters Package-1 and this fingerprint was identified to CESAR ALTIERI SAYOC,” the criminal complaint filed against Sayoc in the U.S. Southern District of New York elaborated. The FBI also revealed in its criminal complaint that many of the packages sent to intended targets were sent from U.S. Postal Service’s Royal Palm Mail Processing Center in Opa-Locka, Florida. Attorney General Jeff Sessions noted that Sayoc “appears to be a partisan” based on photos of his van that have emerged with fanatical decals dedicated to President Donald Trump. Sayoc was also active on social media, enthusiastically sharing partisan memes attacking Democrats.